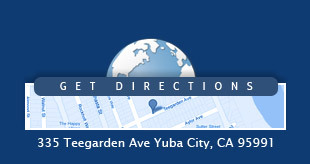 Do you need reliable legal representation in Yuba City? When you encounter a legal problem of any kind, you should come to the Law Office of Sarbdeep Atwal. A successful outcome in your case depends on a careful and intelligent evaluation of the situation from all angles and the willingness and skill to fight aggressively in court. At my firm, you will find the support you need and you can be confident that your case is in the hands of an attorney who cares and is committed to getting results. My goal is to provide affordable legal guidance and top-level representation to the people in our community, and I can provide my services in Spanish, Punjabi or English. I have been trained by the National Institute of Trial Advocacy, and I am prepared to take on any case, no matter how complex. If you have been charged with a crime, you need the help of a criminal defense attorney who won't back down in the face of opposition. The California Penal Code imposes harsh punishments for those who are convicted of a crime, and you can't afford to take any risks with your case. The consequences of a guilty verdict for DUI or a drug crime could follow you through the rest of your life. Being convicted for theft crimes or a violent crime of any type may not only send you to jail or prison, it could also make it difficult for you to get hired in the future. If you fail to fully address the legal aspects of immigration, you could easily wind up in a very difficult situation. An attorney who has a thorough practical understanding of United States immigration law can review your case to ensure that you are in compliance. Problems with visas, green cards and naturalization are easier to resolve if you take action early, but even if you have been threatened with deportation it may not be too late to turn things around. Bring your case to a Yuba City attorney who will give you an honest evaluation of the situation so that you know how to protect your rights and interests. My firm accepts a reasonable payment plan in certain cases, so you shouldn't hesitate to contact me. With thorough preparation and vigorous action, I will fight to pursue the most favorable outcome for you. The information on this website is for general information purposes only. Nothing on this site should be taken as legal advice for any individual case orsistuation. This information is not intended to create, and receipt or viewing does not constitute, an attorney-clientrelationship. Phone: (530) 617-1868 | Local Phone: (530) 682-5970.